Cable TV vs Media Box – Which should you get? Need some endless options for those TV and chill days? A cable TV subscription or Media box to enjoy some television via Internet streaming is just what you need. Here’s our picks! Cable TV offers a lot of content for the users when compared to a Media Box. If you are looking forward to getting access to more than 100 channels, cable TV would be one of the best options for you. And if you are a sports fanatic,going the cable tv way is even better because the leading sports networks out there in the world are offered in most basic cable packages. Out of the available cable TV service providers in Singapore, Starhub holds a prominent place. The Starhub package would come along with a fee set top box renal along with video on demand services. It offers an excellent range of content for the users and there is something for everyone to enjoy. MyRepublic is another leading cable TV service that is easily available. MyRepublic is popular among gamers because of the content that is offered. The initial installation expenses associated with MyRepublic are relatively affordable as well. If you don’t want to spend any initial installation expenses, media box would be the option that is available for you. In other words, you don’t need to spend anything at all to obtain your subscription. You just need to make the monthly payment to stay connected. Media boxes come along with enhanced flexibility as well. Therefore, you will be able to sign up and cancel without spending any additional fee. The best part of all? There won’t be any issues with signal reception even with extreme weather conditions! Out of the media box services available for the people in Singapore, Roku 4 has received much attention. The availability of content has contributed a lot towards its popularity. 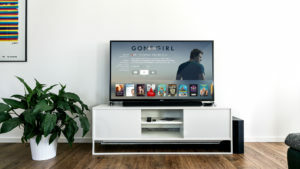 In Roku 4, you can find almost all the major players including Pandora, Spotify, Hulu, Sky News, Google Play Movies and TV, Amazon Instant, HBO Go and Netflix. If you are a person who is interested in versatility, you can think about going for Chromecast. It is marked at a low-price tag and you don’t need to spend a fortune to watch television. The Chromecast is equipped with compact dimensions as well and you will be able to take it wherever you go. So which would it be – cable TV or media box?